You need to login to book this event online. © The Criminal Bar Association 2018. 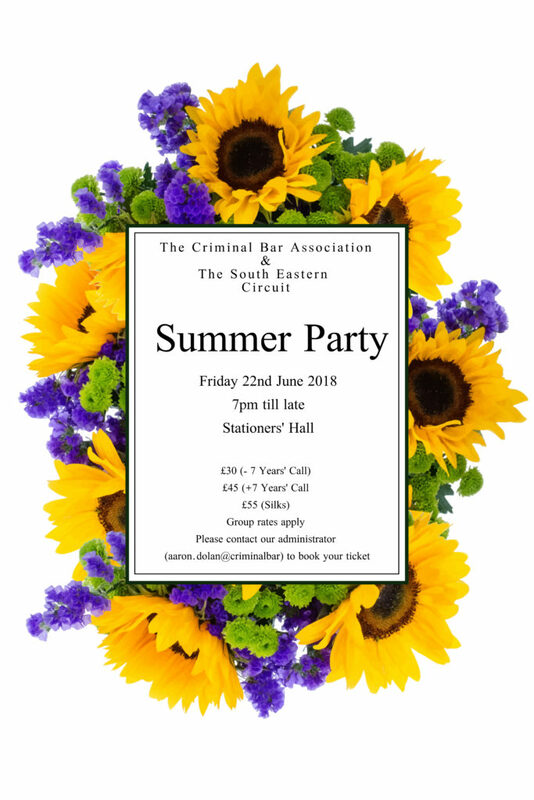 The Criminal Bar Association, Suite 23, 30 St. Dunstan’s Street, Canterbury, Kent, CT2 8HG.